For over a decade, Grove of Hope has been at the forefront of inspiring and encouraging thousands of students to embrace STEAM. We believe solutions to health, environment, and other global challenges will be discovered by those who not only master the fields of STEM, but also have an innovative mindset that is stimulated by creative arts. As leaders in STEAM education, we remain committed to inspiring the next generation of discoverers who will be unlocking the challenges that face the global community. 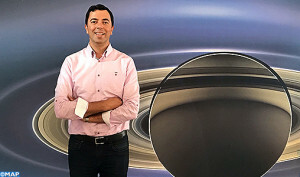 Congratulations to our President, Kamal Oudrhiri, for his contributions to the Cassini mission! Click on link for recent news story.